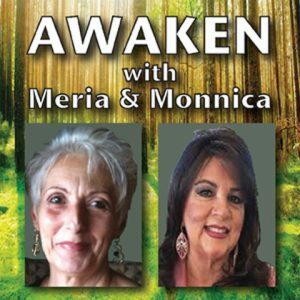 1/16/18 Awaken with Meria & Monnica. Meria and Monnica Sepulveda take you on a spiritual journey. Intuition is a gift we all have, exercise it and use it; everything is an exchange of energy; feel your own answers; your inner genie; research and development;”only one truth”; don’t hesitate to make changes or leave it to someone else; divine order; challenges don’t have to get the best of us; everything has consciousness;protecting yourself, home, car, etc;clearing;cleansing space; love yourself; are nightmares positive? “The Child Within” by John Bradshaw;blanket forgiveness; make yourself a priority and much more including questions from listeners.